Important Details: Leading-edge thought leaders blazing information industry trails in the far east came together last month at the Regent Singapore at Outsell’s event  to compare practices, share case studies, and learn about the realities of opening information markets in the region. Delegates represented a cross-section of organizations such as Dow Jones, IHS, Morgan Stanley, World-Check Thomson Reuters, Lexis-Nexis Southeast Asia, Northstar Travel Media, DMGi, SAGE, LIQVID, and Thomson Reuters ASEAN & North Asia, D&B Asia, CRIF, The 451 Group, IFIS, Macmillan, Market Track, SNL Financial, National University of Singapore Press, ProQuest, RIBA, SAI Global, Reciprocus, and Standards Australia. Sponsored by MarkLogic, CCC, Parthenon EY, and Innodata, the event had a great cross-section of stakeholders in the region. Implications: The takeaway lesson: There is “no Asia.” The region represents a cross-section of a dozen information industry sectors from dozens of countries and including hundreds of languages. Each has vastly different cultures and norms. China’s long-term growth is moderating, while India has the potential to grow faster for some period. ASEAN represents a dynamic region with 5% GDP growth projections on average. The information service sector is performing well with growth following GDP; M&A is strong in both diversifieds and vertical leaders, though the M&A market here is relatively smaller. There remains a thirst for exhibitions, there are many sub-scale companies, and scarcity is driving valuations. Along with diversity in culture and language comes diversity in trading practices and regulation. We invited the experts to get a grip on this, on the problems of trading in India and China, and whether ASEAN, as it comes together this year as an Asian free trade “common market,” will start to resolve some of the regulatory problems inherent in trading across a market of this size. And while intellectual property protection remains an issue in some countries, tax rules, network control, and the ability to form equitable relationships with local partners also pose vital issues for resolution. We learned about the importance of allies and alliances in the region. Executives indicate it’s important to hire or place local management who have an understanding of parent companies if expanding into the region. Use Hong Kong as a gateway into China. Invest or buy in where possible and leave western assumptions and paradigms at the regional door. Recognize B2B is nascent pretty much everywhere, and that new platforms like WeChat and mobile are the delivery mechanism of choice for an emerging middle class. Scholarly journals in the region number in the 10s of thousands, and some leading Chinese University Press are emerging to become leading commercial publishers, such as Guangxi Normal UP Group. Rankings are a major obsession, carrying with it promotions, tenure, and status, building on western tradition that shows no sign the citation is abating. It’s an exciting time and the energy is palpable and contagious. Asia is for both the entrepreneurial and deep pocketed. It’s a place where the largest information industry companies can afford to find growth and where the “outposts” are no longer that. Executives in the region are driving growth for their mother ships, pioneering the future and taking the industry where it must go to find sustainable growth. In our industry, growth follows GDP and the orbit of GDP is clearly circling the colorful, vast, diverse, and amazing landscape our world calls “Asia.” It’s a wild, wild east and it offers a great ride. 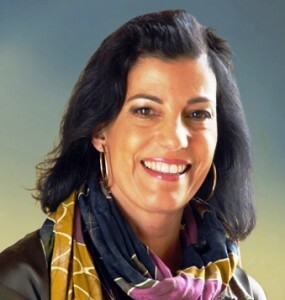 About the Author: Anthea C. Stratigos, is Co-founder & CEO of Outsell Inc.